How we helped a leading insurance company with our inbound tech support services ? The clients of the private insurance company were unable to place their problems before the company. The rate of call abandoning was as high as 45%. As we looked into the matter, we found that the customer satisfaction level had taken a sharp dip. It was just around 49%. Here, we classified the crisis into three parts for better interpretation. 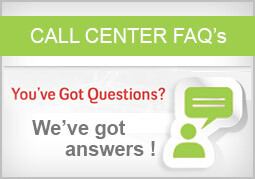 The call center agents entrusted with the responsibility lacked specialized experience. They had worked in designing and technical domains, but not as insurance customer care executives. Technical problems prevented the company to provide the right infrastructure to their clients. This led to increased call droppings. The productivity of BPO processes as a complete BPO platform was below the average mark. As requested by the company, PGBS took charge of improving the help desk by serving as customer’s support center. The first thing we did was to set up a specialized infrastructure along with adequate manpower, so that the specific requirements of their clients would be looked into. A dedicated team of professionals from PGBS were entrusted the task. They were highly trained in handling insurance customers and had prior experience in the arena. We complemented voice calls with internet and chat support, besides providing email assistance to their customers. We also introduced voice-mail facilities if the customers had to be kept on hold for a longer duration. Previously, the company suffered from lack of hardware and channels. They only had 25 channels to cater to the needs of thousands of customers. We unleashed the enormous resources of PGBS, providing as many as double the channels to answer the calls. The same number of personnel was entrusted for the answering purpose. Further sophistication was incorporated by introducing three different shifts for the morning, afternoon and night, spanning 8 hours each. The company now received a dedicated 24/7 customer support from PGBS. A separate bench of 6 customer support executives was set up to call back numbers, in case of dropped calls. It was just in 7 weeks that we received an impressive feedback. The company informed us that the clients were amazed by the infrastructure being provided to them. They could get across to us anytime without any technical defect. They particularly praised the behaviour and approach of the customer care executives. Well, the satisfaction level crossed 97% in just a few weeks. Call abandonment was literally negligible; it was below a fraction, just around 0.6%. The insurance company decided to continue with our services, primarily due to our technical edge, experienced handling of the calls and the overall performance. We are further prioritizing the interest of the company by upgrading our equipment for inbound tech support services. We are also arranging training programs for our staff to keep them updated with the latest changes in the industry.